We provide the highest standard of wedding limousine service & transportation. With Wedding Limo Packages starting at $700 for 3 hours of chauffeured limousine service it is very affordable. Make your luxurious dream wedding a reality and book now to avoid disappointment. Gather up the girls and we will have our chauffeur and limousine pick everyone up and bring them to where they need to be for their wedding day appointments. Keep everyone all together for the big day while having a ton of fun. Lots of your guest will be in from out of town and it is just easier to have 1 vehicle to shuffle everyone around. 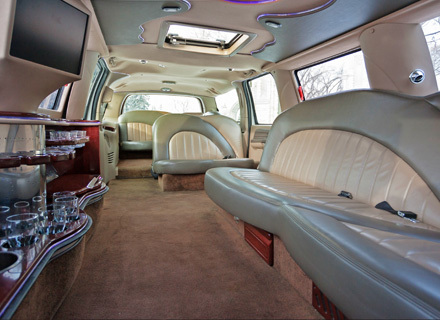 Why not use our stretch limousine and a professional chauffeur who knows their way around Saskatoon and the surrounding area? At the end of the night our wedding limo service can include taking your guests back to their area of town or to the hotels they are staying at. No need to worry about your wedding guest’s safety when there is a professional driver to take care of everything right to the very end. Bachelor and Bachelorette parties are great fun but require a lot of planning. The biggest pain making sure everyone get to the party and home again safe and sound. This is where Limelight’s limo service can help. No only do we have great deals and ideas our limousine service will make your party memorable. Tell your people to get a hold of our people. We will take good care of them and you. Ask about wedding limousine service discounts from complete Bachelor/Bachelorette bookings. A great bonus gift to offer the Bride and Groom on their wedding day!